One of the tracks that I want to do for the first recital is a song called ‘Watching the River Flow’, by Steve Gadd & The Gadd Gand. The track was originally written by Bob Dylan and released in 1971. 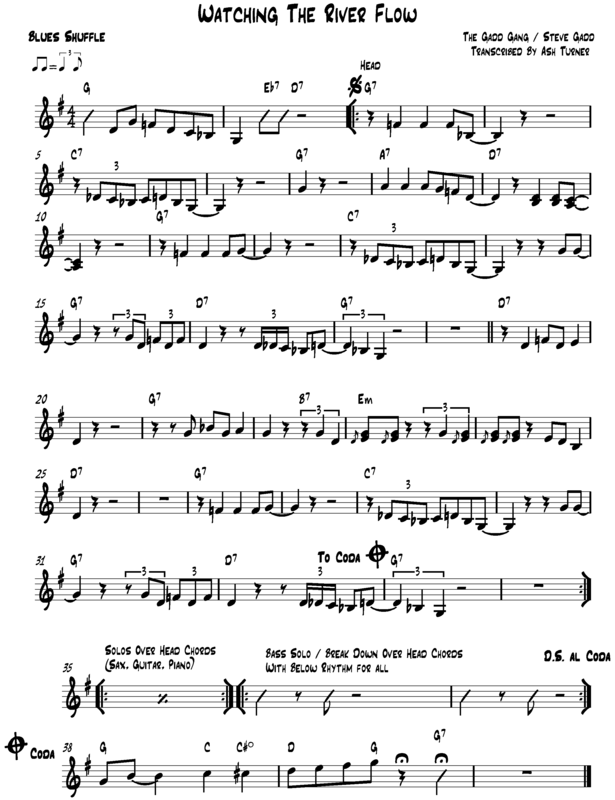 Gadd grooves an amazing Chicago blues shuffle, throwing his signature ‘fall off’ fills and other tasteful drum licks throughout. Below is a sheet I’ve written as a live performance guide, and I’m sure I’ll end up transcribing some of Gadd’s prominent ideas in this track at some point too. 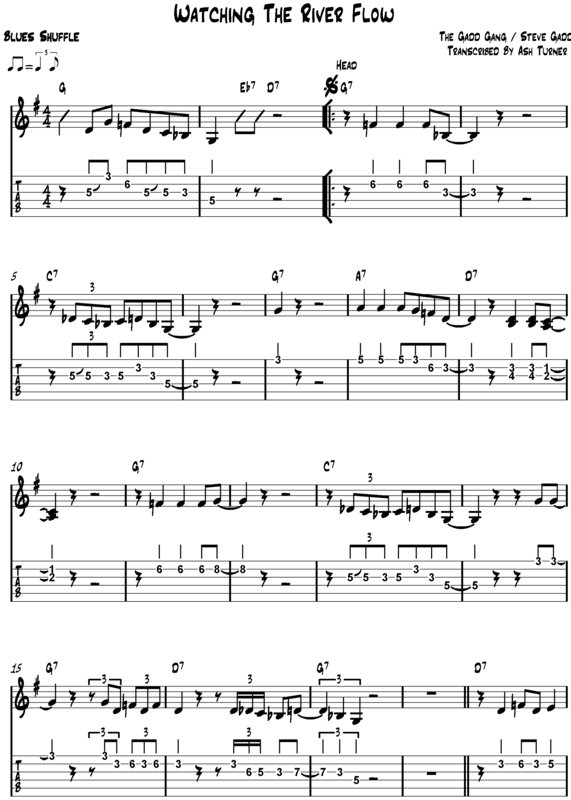 Again, the tab line is just a guide following what Cornell Dupree is doing for the most of it, feeling through some pentatonic ideas. Fantastic, brother! Thanks for going to the trouble to do this. 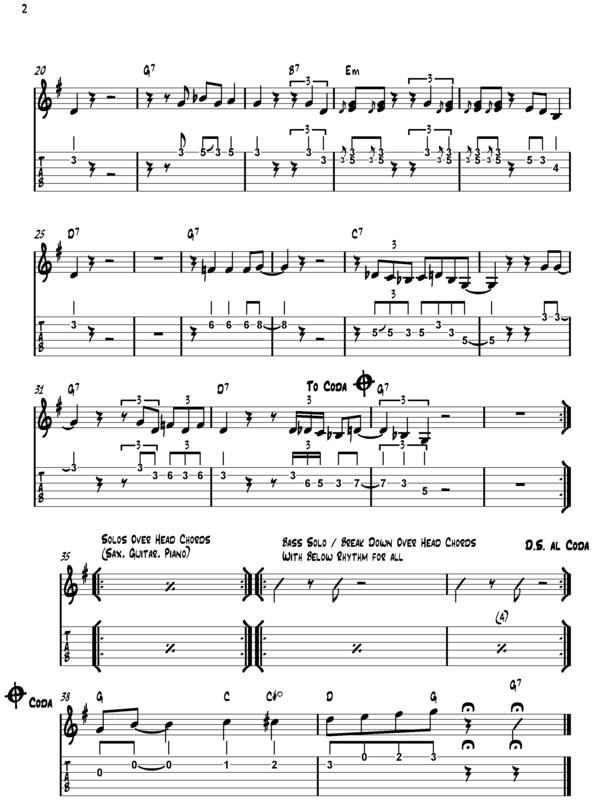 I trekked the net to find this lead sheet. I don’t usually like to give out contact info, but I’m happy to hook up with you. Keep up the good work.